Following a successful MBO, Crediton Dairy embarked upon a major upgrade using Tetra Pak as the process designer and supplier of key components. 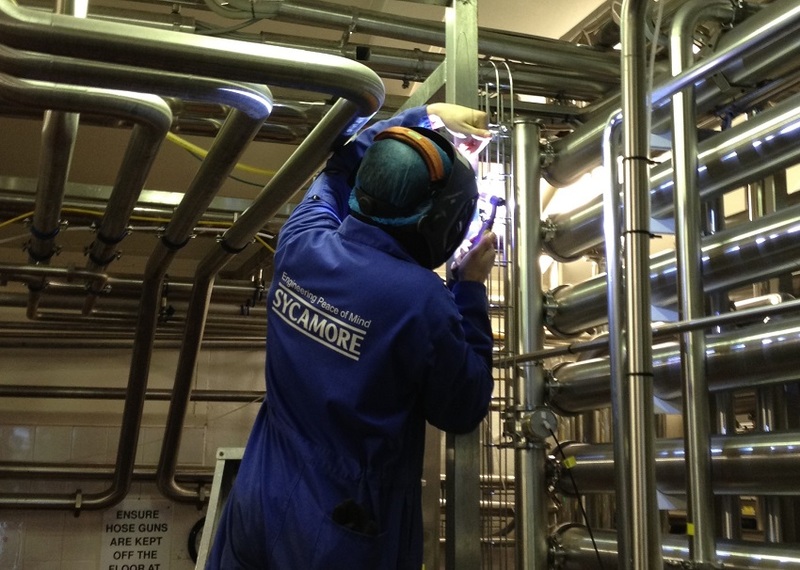 Tetra Pak in turn recommended the mechanical installation contract be awarded to Sycamore Process Engineering. Delivery of this project, which was one of high commercial risk, was executed so well that we did not see any impact at all. Improved flexibility, future proofing, increased capacity, excessive product losses and a total reliance on outdated and unsupported control systems were the main reasons for the investment. Mix proof valve manifolds replaced flow plates allowing raw milk and skim to be simultaneously imported, exported and sent to three aseptic processes. A new UHT/ESL white milk, cream and flavoured milk plant was delivered from Tetra Pak in Sweden and installed by Sycamore. The main pasteurisers for raw milk and cream were uprated to reduce start up times and control the load on the iced water plant. New or upgraded services including CIP were required throughout the process and an entirely new control and SCADA system completed the investment.